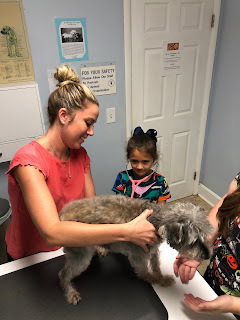 Chloe had a few accidents at the pet sitter over the weekend, so we took her to the vet to get a checkup. 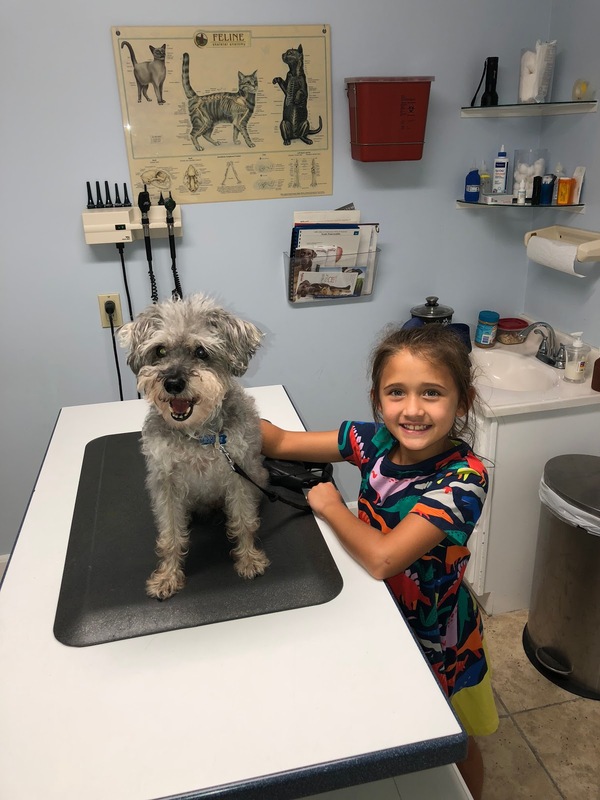 Paige has been saying for a while now that she's considering being a vet when she grows up, so I made the appointment in the afternoon and picked Paige up from school on the way. Paige enjoyed helping with Chloe and the veterinarian was sweet about talking to Paige and letting her use the stethoscope to listen to Chloe's heart. 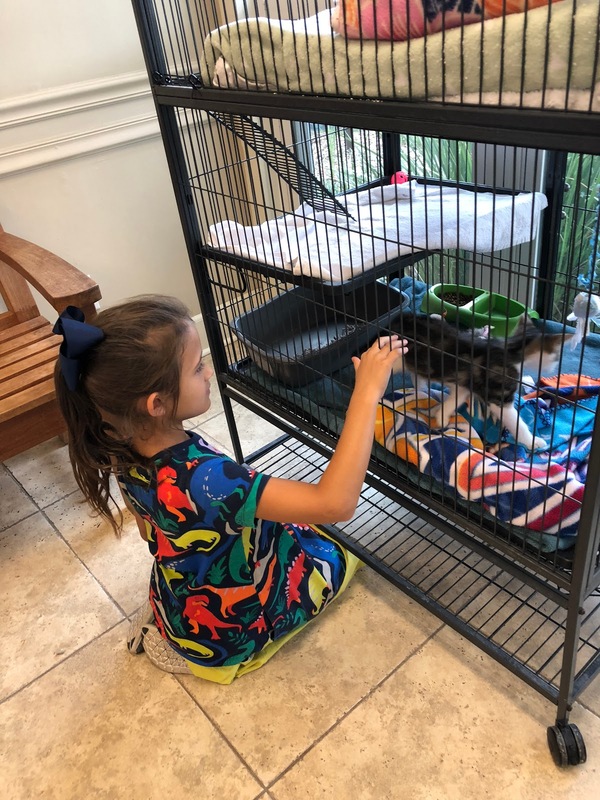 Paige's favorite part though, by far, was playing with the kitty in the waiting room. The little kitten was available for adoption and Paige would have been super happy if we'd taken him home with us.